Systemic adverse drug reactions (ADRs) may occur any time a drug is administered to a patient. 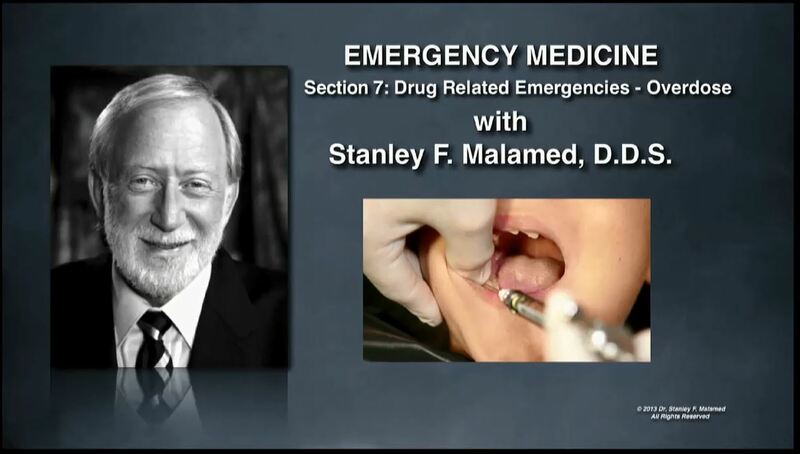 This program describes allergy, overdose and idiosyncrasy, and goes on to discuss the problem of local anesthetic overdose and overdose of sedative drugs, their prevention, recognition and management. The administration and prescription of drugs is essential in the contemporary practice of dentistry. Antibiotics, Analgesics, Local Anesthetics, and Sedatives are the most common drug categories used in dentistry. Adverse drug reactions can always occur when drugs are administered. Allergy, overdose and idiosyncrasy are the three systemic adverse drug reactions. They are defined and contrasted, followed by an in-depth discussion of overdose of local anesthetics and sedatives.